No one will argue Singapore Satay is one of Singapore’s signature dish. Whenever we do BBQ in the summer, it is a must-have item on the menu. Thanks to Prima Taste, we can easily enjoy authentic Singapore Satay thousands of miles away from home. 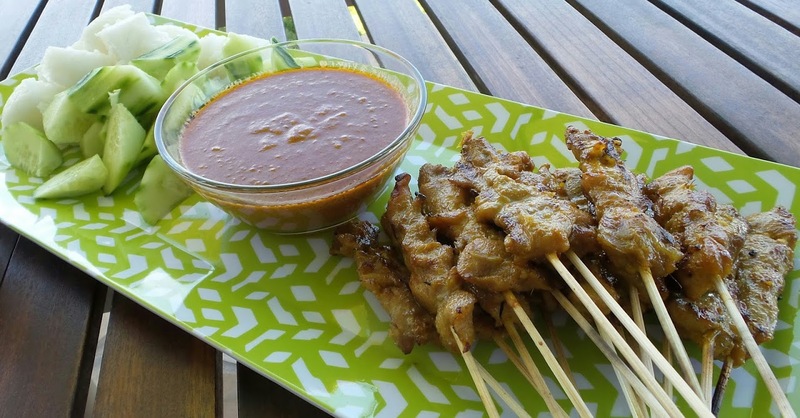 As we clean up and put away the BBQ grill this year, I am taking time to capture a few ‘secret’ ingredients in addition to the Prima Taste satay marinade that makes this an irresistible appetizer. Cut chicken thigh meat into 3/4″ slices. 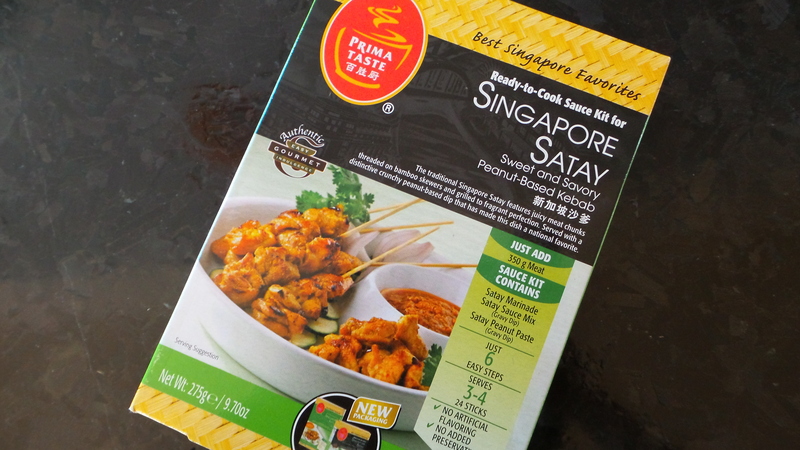 Place in a quart-size plastic bag and marinade according to instructions on the Prima Taste Singapore Satay kit. 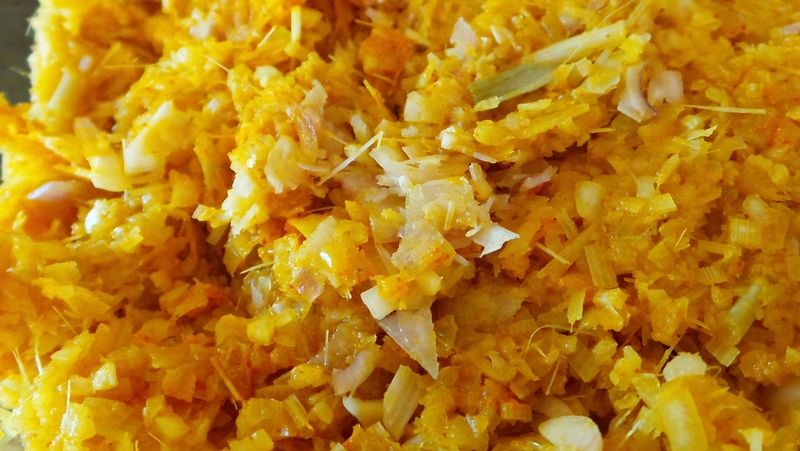 Mince shallots, garlic, lemon grass, tumeric, lemon grass, and galangal in a food processor. Add to chicken. Sprinkle the ground coriander and ground cumin over the chicken. Seal the plastic bag and knead the bag until the chicken pieces are evenly coated with the spices and the satay marinade. Chill overnight in the refrigerator. Soak satay sticks in water overnight. The next day, thread chicken slices on satay stick. Keep the meat slices flat for even cooking. 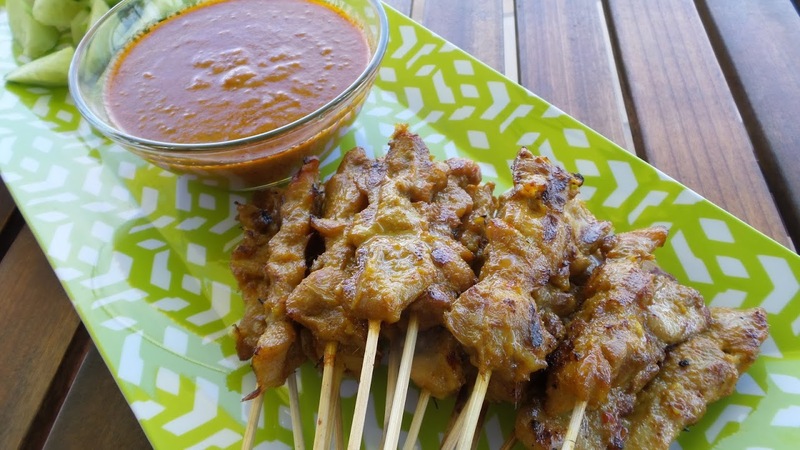 Prepare the satay sauce according to instructions on the Prima Taste Singapore Satay kit. Brush satay sticks with vegetable oil and grill satay sticks over low heat till cooked and lightly charred. Serve hot with rice cake, sliced cucumber, onions, and satay sauce. Note: Compressed rice cake can be prepared by cooking regular jasimine rice and pressing them between two plates. Good things are for sharing! Hope you have access to Prima Taste easily. It is easy and tasty, try it.